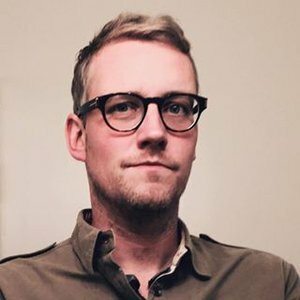 Matt MacDonald is a creative director and writer whose work nestles right there in that sweet spot where culture, technology, entertainment and advertising meet. He's written award-winning campaigns for brands like AT&T, Autism Speaks, Macy's, JetBlue, Smirnoff and Ford, created reality shows for TLC and MTV, an animated prime-time Christmas special for CBS, documentaries for the film festival circuit and one open-source grade school musical. In 2014, BBDO tapped Matt to lead creative on AT&T, their largest account in America, managing teams in New York, Atlanta and Dallas. This summer, Matt led the creative charge for Omnicom's win of AT&T's $2 billion combined media and creative business — a two-month race to not just deliver new ideas, but also a re-invented agency model where creative, media, and data join forces for better, sharper, more innovative work. Prior to BBDO, Matt was instrumental in the creative transformation of JWT New York, joining that agency as a junior writer in 2003, rising to Chief Creative Officer in 2012. In a previous life, Matt was one of the nation's top-ranked collegiate public speakers with over 200 individual awards, including three 2nd place finishes at national tournaments.